Ease young children into the world of apps with some of these fun, imaginative titles. From games that star their favorite characters to games that help with early reading skills, you've got lots of choices. Ignite your preschool child's imagination and love of learning and reading with these brilliantly, engaging apps. Our parents and teachers have picked some of the best apps for preschoolers. 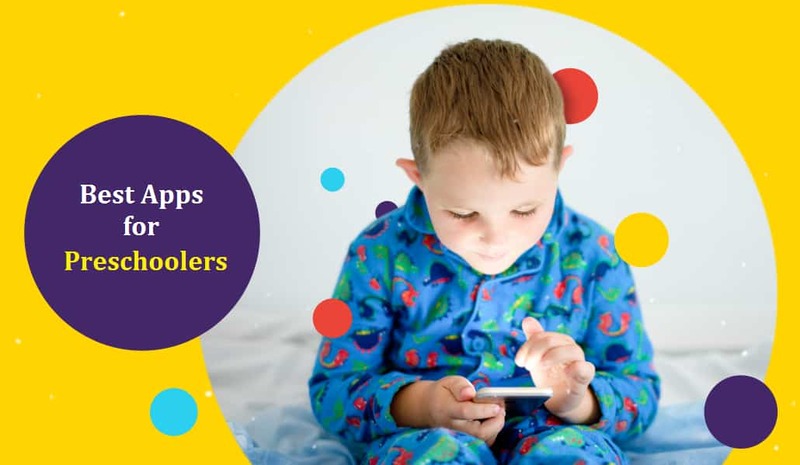 Check out the fun and engaging best preschool apps used by millions of parents and teachers to help educate and entertain young kids. Reading Eggs is the multi-award winning learning programme that helps children learn to read. Based on scientific research and designed by literacy experts, it’s proven to help kids learn to read using interactive reading games, guided reading lessons, fun activities and over 2,000 digital story books. Reading Eggs has already helped over 10 million children worldwide learn to read. Toddlers build pre-reading skills such as phonemic awareness and alphabet knowledge with fun activities, games, videos and read-aloud books. Curious World: Play Learn Grow is a mix of children's TV channel, children's library, activity pack and a source of creative ideas. As such, children can sit back and watch, pick a book to read, explore an interactive activity or gain some ideas for making something in the real rather than the virtual world. The application ‘Narrator AR' is an Augmented Reality app that supports pre-school writing in a fun and inspiring way. The application is suitable for ages 3 to 5 and encourages children to write words and letters with a pen and paper whilst linking this to an exciting AR experience. The application is free from in-app purchases and does not require a constant Wi-Fi connection. This preschool learning app encourages children to pick up a pen and write, write and then write some more. The goal is not only to improve your child’s writing but for them to enjoy writing. It is important that children learn and write words relevant to them so once they have conquered their name, try other names – siblings or pet, their suburb or any other words that they want to write. The app involves a series of puzzles requiring the child to move the shapes into the proper holes. This requires the child to recognise features like the size, shape and colour of the object. The further your child progresses through the levels. the more increasingly difficult the puzzles become, ensuring that your child challenges themselves to progress through the levels and gain a better understanding of shapes. Daniel Tiger for Parents pairs songs and videos from Daniel Tiger's Neighborhood with tips for parents to help kids grow socially and emotionally. To support their preschool-age kids through common life situations, parents can use the songs, videos, and more than 90 "conversation starters" on this free app. This app is made of five mini-apps, in which toddlers and preschoolers can explore Daniel Tiger's home and neighborhood. Doctor, bedroom, and bathroom are dollhouse-like environments. Children can pick up various items and use them to play with Daniel. There are no particular goals (other than getting Daniel to sleep in the bedroom) and imagination is encouraged just like in the PBS show. In the music mini-app, children can play along with several songs on simple instrument. Endless Alphabet is an app designed to teach letter sounds and new vocabulary. The child drags the correct letter into a word and the letter takes on a personality and makes the sound as the child drags it to it correct place in the word. The child can choose the word to build. The words are in alphabetical order and can be flipped through or chosen by beginning letter. After the child builds the word, there is a short animation and audio description of the meaning of the word. The app starts with a set of words and then others are added automatically as the app is played. Toca Tea Party is like having a traditional tea party for kids but without the breakable, spillable teacups. The on-screen party includes a variety of pretty mini-cakes and cookies, drinks, tablecloths, plates, and cups kids can choose from, and more. Once kids get a tea party for three set up on the iPad's screen (which becomes the table), they can invite their friends around the table to pretend to eat and drink -- and even "clean up" an imaginary spill -- at their custom soiree. This top-rated, research-backed app motivates kids ages 2 to 8 to love reading by building on what they already know and tapping into the topics that most interest them.Even though a Simpsons early education app would be more fun, Learn With Homer will do a better job teaching your kid how to sound out words. (Doh!) Unleash your kid’s reading abilities using Homer’s speak-and-spell animation and voice recordings that give them feedback on pronunciation. Marble Math is super fun and easy for kids to use. It includes features that parents and teachers will love, like the ability to replay games so students build confidence as they work up to the correct answer. This learning app is so much like a game that kids will forget they are doing math! There are obstacles and rewards as they move their marble through the maze, urging users on. This app is a definite yes for older elementary students! Kids can learn numbers, counting, and addition and subtraction to 99 as well as multiplication using Todo Math app. They can learn 1-to-1 correspondence and practice correctly writing numerals by tracing. It is a wonderfully easy-to-use math app designed to help kids of all abilities practice math. It uses visuals, auditory prompts and purposeful touch. Gro Flowers is a fantastic educational game meant for children between the ages of 0-5. It teaches children about the benefits of biodiversity and pollination. Gro Flowers takes a hands on approach to learning about these topics instead of traditional instruction. Players get to create their own flower species and then control a bee and other animals helpful to pollination in order to fill their field with flowers. Kids will start exploring the process in the wheat farm by watering and harvesting the crop, then grinding the wheat into the flour at the mill. Then the baker will knead the flour into a dough. Finally, the dough is baked in the oven and sent to Dr.Panda. Kids can start producing farm-fresh foodstuffs like eggs, honey, salad, milk, fruits and bread for customers at the farm store. There are many activities to be unlocked in Dr.Panda Farm such as Honey Farm, Fruit Farm, Dairy Farm, Chicken Farm and Vegetable Patch. This app builds reading and spelling skills through a sequence of carefully designed games. This ranges from identifying, matching and tracing letters, to writing, reading and recording words, sentences and very short stories. There are three levels of activities, and five lessons with different themes, which give children lots of opportunities to practice the skills while maintaining a high level of interest.